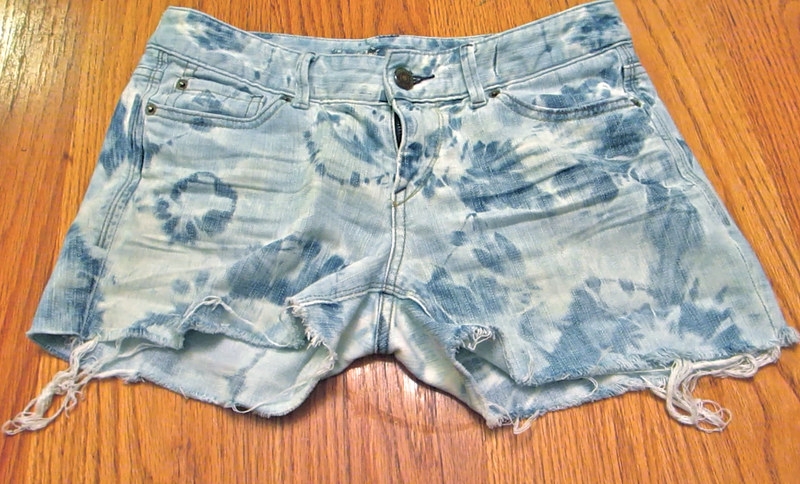 DIY Festival Inspired Bleach Dyed Shorts! http://www.youtube.com/watch?v=O8JfyrPGKEY Spring has sprung! I can not believe that it is almost March and even all the Northerners and snowy parts of the world are preparing for their Spring Breaks and Holidays that can take them away to warmer weather, beaches and my favorite part of the warmer season... Music Festivals! We the Kings made a huge announcement this week that they will be spending their June and July on America's beloved Vans Warped Tour. And I could not be more excited! Warped Tour is like a traveling, musical summer camp. BARBEQUES! PARTIES! VEGAN TOFU LASAGNA! Just a few things the tour is always known for. And for the first time I am planning on taking some time off work and trekking to a few of the stops myself. Knowing me, my immediate first thought is what do I wear?